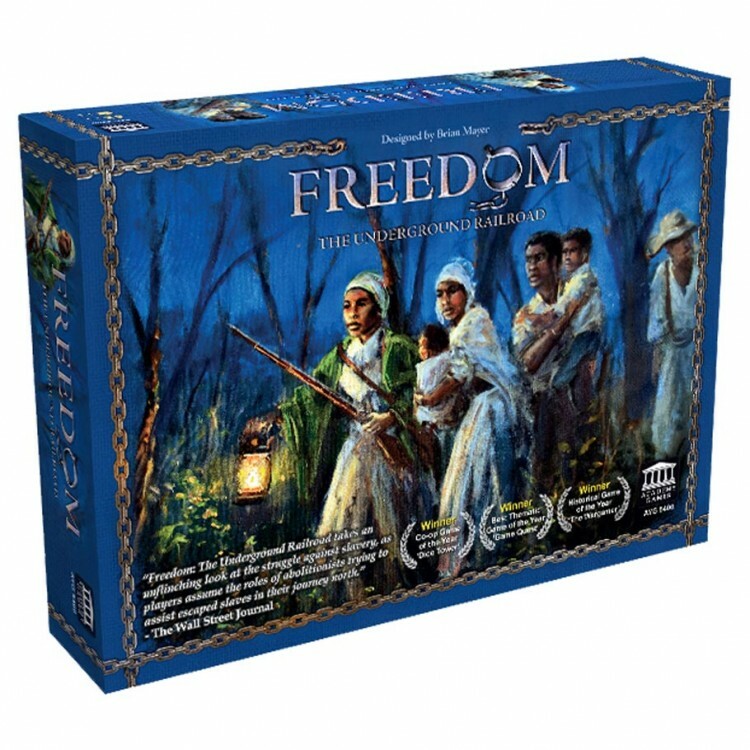 Freedom - The Underground Railroad is a challenging and educational cooperative game, where players work together to abolish slavery in the United States. Help escaped slaves move along the Underground Railroad and raise funds to lobby Congress to pass anti-slavery laws. 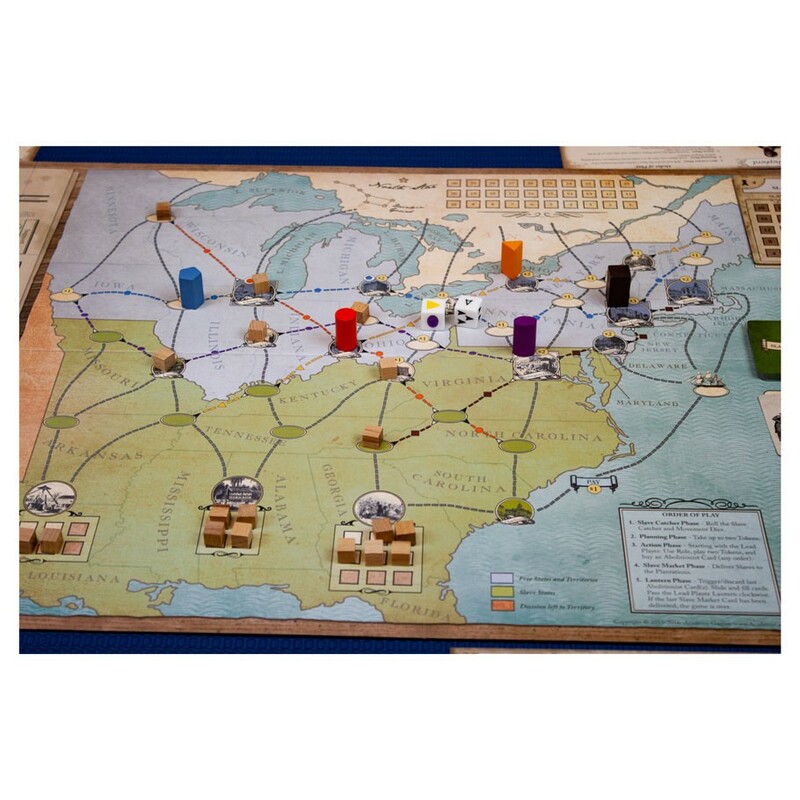 Freedom incorporates great mechanics and strategy with a thoughtful and respectful approach to a very difficult subject. 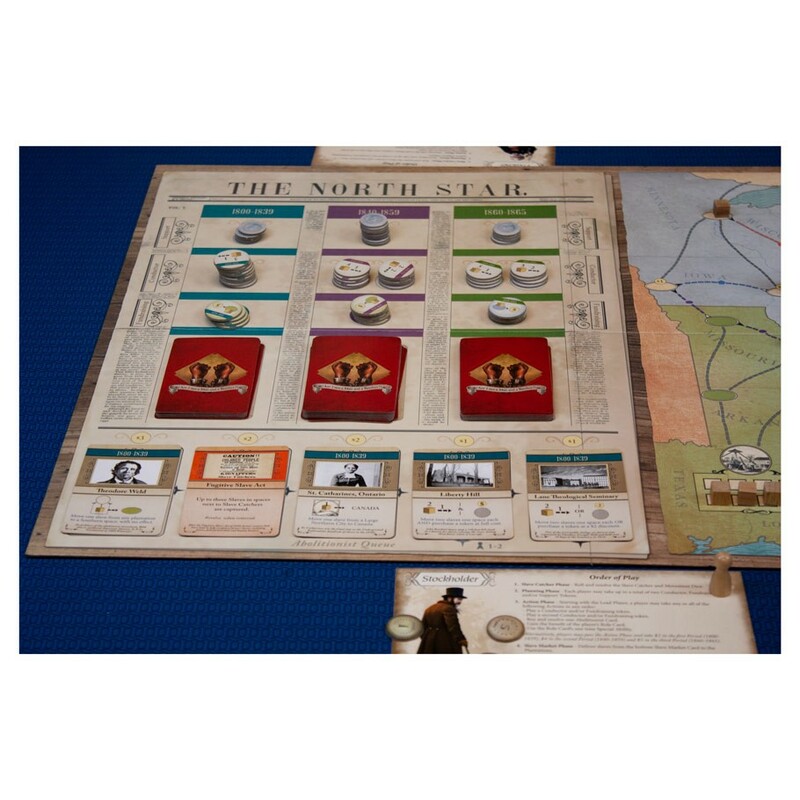 Have fun, learn history, and foster discussion about this pivotal time of American History.